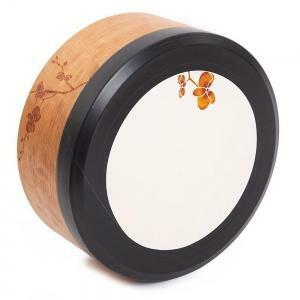 In 2015 we released a special limited edition of the CoreLine series because of the 10th anniversary of bodhran-info. 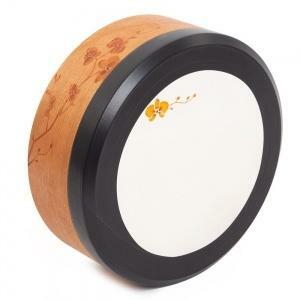 The edition was limited to 10 drums, which were sold very quickly. An eleventh drum of the same edition was auctioned off for charity on ebay. 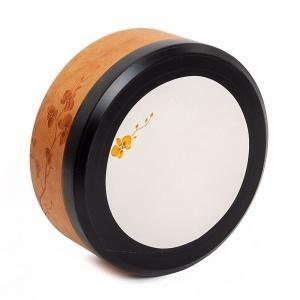 Here is the CHarity bodhrán 2018: The CoreLine CHarity Orchid Edition. The Orchid Edition comes in the four CoreLine sizes slim, bullet, universal and classic and are beautifully decorated: Both the frame and the skin sport an orchid, which are produced using a special stain technology. This leads to a natural and unobtrusive look. The skin is playable like any other skin, the staining technology is tried and tested over the years. Even though this series of eight drums is lavishly decorated, we are glad to offer them to the price of a normal CoreLine of the same size! The additonal work should not drive the price up, it's a CHarity project after all. 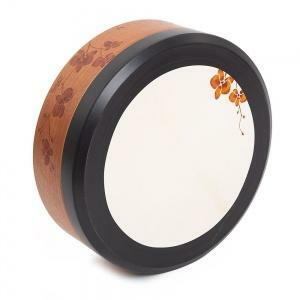 There will only be eight drums with exactly this decoration, so the CHarity orchid edition will become highly sought after collectors' items. 62,50€ per drum sold will go to Médecins Sans Frontières (MSF), Doctors without Borders, an organization we admire and which we started to support in 2017.